Four students at Baton Rouge Magnet High are being praised for earning a perfect score on the ACT standardized test, including one who also got a perfect score on the SAT. According to Baton Rouge Magnet High School, four of its students scored a perfect 36 on the ACT. 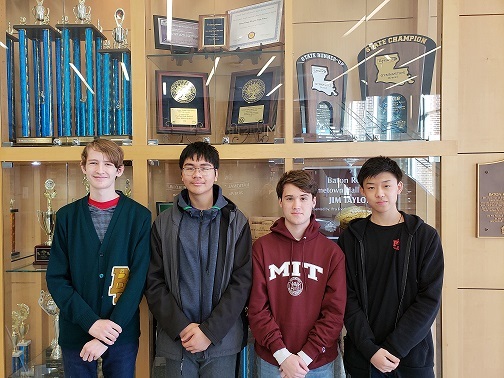 Students Jonathan Poss, Marcus Schafer, Khanh Pham and Steven Guo all got the perfect score, which only about one-tenth of a percent of students who take the test actually achieve. Poss, who is a senior at the school, also made a perfect 1600 on the SAT. Out of the 1.7 million who take the test every year, only about 300 get a perfect score on that test, according to prepscholar.com. Since 2017, 15 Baton Rouge Magnet High School students have scored 36, and another 23 have scored 35 on the ACT.